See your Solar Savings for your California Home Today! Click hereCalifornians have been supportive of alternative energies for some time, putting the state far ahead of its neighbors.There are plenty of sunny days in the state and lots of land, which helps make going solar a great idea. Solar power is thriving in California, thanks to tons of support for environmentally-friendly initiatives. There are also incentives from the local government that have made solar power a practical option, thanks to the people demanding such support from local politicians. People can also lease a solar power system for zero down through a prepaid solar lease or PPA, making it even easier to start out. One big way California supports solar power is by giving rebates to private citizens who use solar energy. On top of that, different cities have put into place different rebate programs of their own. For example, Corona offers up to $3,660 for residential solar arrays and up to $30,500 for commercial systems. The state uses something called net metering, which is a requirement for the utility companies to buy extra electricity generated by customers with solar panels using an agreement between the two parties. That basically means you can make money by going solar since the utility company has to pay retail rates for the electricity. 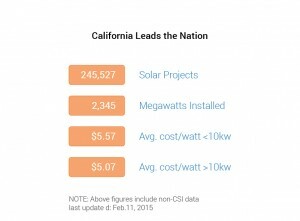 California is the top market in the United States when it comes to solar energy. According to the local government, over 240,000 solar projects have been launched within that state’s borders in recent times, generating a total of 2,339 megawatts of electricity. The state also says that the average cost per watt of solar electricity under 10kW total is $5.57, while electricity generation over 10kW has a cost of only $5.07 per 10kW. Those numbers closely lineup with the cost of electricity consumers buy from a traditional grid, which can be generated using methods that add to air pollution and other environmental damages. Many different factors can affect the price comparison, such as government incentives for alternative energy sources, rate fluctuations due to market forces, etc. See more at the californiasolarstatistics.ca.gov website. According to recent study conducted by the Clean Energy Technology Center at NC State University, California cities claim 5 of the top 10 best cities to go solar in terms of value, in America’s 50 largest cities. The study shows that the average savings in California per month is $148 (before loan/lease payment) which is extremely impressive and great news for homeowners. Leading the way are the following cities: San Jose (# 4), Los Angeles (# 7), San Diego (#8), Oakland (#9) and San Francisco (#10). There are total of 8 cities from California in the study, with Long Beach (#12),Fresno (#13) and Sacramento (#37) rounding out the list. People dream of ways they can save big chunks of money, helping them get out of debt sooner, save for retirement, or achieve other financial goals. Opting to install solar panels is one way homeowners in California can help see those dreams turn into reality. The best way to know how much you can save with solar is to talk to solar installers in your location. 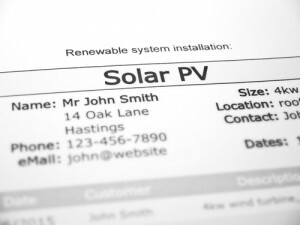 the will get your exact information, and will tailor a solar PV system specifically for your needs. you can get a solar quote here. it’s free and there are no strings attached. Even though solar panels installation costs a private individual or a business money up front, it is a move that in the long term can help people trim back their expenditures. Just how long it takes for a solar power setup to start paying for itself depends on several variables, such as just how much a homeowner pays a contractor for the hardware and its installation, the local utility service’s rate structure, how much sunlight exposure the solar panels are exposed to on an average day, the quality of the panels themselves, and a household’s average daily usage. 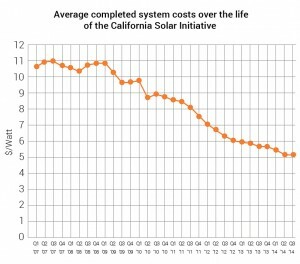 Another big factor that affects how quickly the system pays for itself is how it is paid for.People who pay cash upfront can expect to see a return on the investment within about eight to twelve years, according to GoSolarCalifornia website , which isn’t too shabby, but buying a system with 0 down is an even better way to go. Too many people put off purchasing solar panels because they need to save up the money to pay for it. The thing is that leasing a solar power system can give a return on investment so much sooner, believe it or not. You can get solar power for your home with 0 money down, making it an affordable and practical way to start saving money now. At first, a financed system might cost more than the savings add up to each month, but sometimes the solar power system starts paying for itself from the very first day. With the rising cost of electricity, it doesn’t take long for the fixed interest rate attached to the loan for the solar power system to be overtaken by the regular increase in utility rates. That’s when the financed solar system starts saving the consumer money. By financing solar panels, most consumers will see positive cash flow from the investment within about three years’ time. One factor that is at least partially driving the expansion of solar power adoption is the Renewables Portfolio Standard(RPS). The standard is the most aggressive renewable energy standards in the United States, showing that California is serious about making alternative energies like solar power work. It was put into place in 2002 by Senate Bill 1078 and was then accelerated in 2006 by Senate Bill 107. RPS was then expanded upon in 2011, thanks to Senate Bill 2. Under RPS, electricity service providers, utilities that are owned by investors, and community choice aggregators must source 33 percent of the energy they distribute from renewable sources by the time 2020 rolls around. Individual energy providers must create their own energy procurement plan, which is then reviewed and either approved or denied by the California Public Utilities Commission and the California Energy Commission. The result of the establishment of RPS has been to provide greater financial opportunity for consumers who wish to use solar power, as well as other forms of alternative energy, driving down the associated costs. California residents can also take advantage of an array of tax incentives, making solar energy even more attractive on a purely financial basis. What follows is a general overview to help educate homeowners about the incentives in existence. Some systems qualify for federal tax incentives. These incentives were created in 2008 by the Emergency Economic Stabilization Act, which focused on promoting the adoption renewable and clean energy sources. 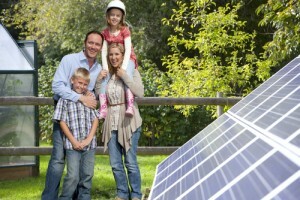 Homeowners can receive a tax credit that is equal to 30 percent of the total cost of their solar power system. People can only use the credit once, but it can be carried forward or back a little bitif the system was installed too early or too late in the tax year. The federal tax credit lasts through December 31, 2016. To qualify, a person must have a tax liability with the federal government. This is just another great reason to jump on the solar power bandwagon and enjoy the benefits. You can start here by talking to solar companies and check your standings. Some people might choose a grant from the federal government instead of the federal tax credit. The grant option was also included in the Emergency Economic Stabilization Act as part of Section 1603. This option can be a good one for households with higher incomes since the cost of electricity comes out of their after-tax monies, or in other words it is not tax deductible. Another state program, called the New Solar Homes Partnership (NSHP) is also available to residents of California. It is run by the California Energy Commission (CEC) and is aimed at incentivizing home builders to construct new residences with solar power capabilities built in. To qualify for the program, the home has to get its electricity from Southern California Edison Company, Pacific Gas and Electric Company, Bear Valley Electric Service, or San Diego Gas and Electric Company. The whole state program was launched back in 2007 and will run through 2017, with the goal of at least half of all new homes built by the end of 2016 being outfitted with solar electric systems. Different reward tiers have been established, which are based on the type of house and how the system is anticipated to perform, which can be affected by where in the state the home is built, the orientation of the solar panels, and the presence of shade-producing items like trees or other buildings. A number of financing options exist for anyone looking to get into a solar power system, including the ability to put zero down. A prepaid solar lease or a PPA are good options for Los Angeles residents and others in California who don’t want to have to take care of repairs or maintenance on the system, don’t have the money to invest upfront, and have a credit score over 700. A solar lease usually lasts for 20 years, but it doesn’t allow you to qualify for any of the tax credits, rebates, or incentives you would get from purchasing the system outright. You also can’t depreciate the system for your taxes. The upside is that you can save up to 50 percent on your electricity bill, depending on a number of factors like usage and the characteristics of your home. All you’re paying for is the equipment and any electricity you might need from the utility company. In some agreements, you don’t have to maintain or repair the panels yourself. You can often get into a solar lease by putting zero down. At the end of the term, you can option to buy the panels, if you want. To qualify for a solar lease, you usually need to have good to excellent credit. PPAs or Power Purchase Agreements involve an upfront cost that $1,000 or more. The agreement typically lasts between 15 and 18 years, but it can be transferred to anyone who buys the home. Some agreements involve you paying a flat rate for electricity the entire length of the PPA, while others involve the payment increasing slightly over time. The company you do the PPA maintains and repairs the panels as needed, meaning you don’t need to worry about them. Usually, you can buy the solar power system at the end of the agreement for a predesignated price. As with solar leases, you don’t get any tax benefits or rebates from the state. To qualify for a PPA, you usually must have excellent credit. There are huge advantages to leasing a solar power system now instead of waiting to buy one later. Homeowners who are leveraging alternative energies, including solar power systems, can use the Renewable Market Adjusting Tariff (ReMAT). The program is required by the state of California for all utility providers that are either publicly owned or are owned by investors, plus have 75,000 or more customers they serve. The tariffs for ReMAT will not be available indefinitely. When the combined cumulative capacity for the entire state reaches 750 megawatts, the tariffs will go away, unless a new program is created by the government. ReMAT actually replaced the Feed-In Tariff program that was available to consumers earlier, but that program ended on July 24, 2013. The SB 32 FIT program created ReMAT, which is administered by the California Public Utilities Commission (CPUC). Publicly-owned utility providers self-govern when it comes to developing the tariff policies and practices. Utilities that are owned by investors, on the other hand, are regulated by CPUC. Customers who are found eligible for ReMAT can enter into a contract for 10, 15, or 20 years. Only small solar power systems, or ones that produce up to 3 megawatts, are allowed into the program. Prices for excess electricity generated by household solar panels are calculated by using the weighted average from the three utilities that are owned by investors and have the highest contract from the Renewable Auction Mechanism auction, which took place back in 2011. the state of California says the price of solar-generated electricity was $57.23 per megawatt-hour back in September of 2014. 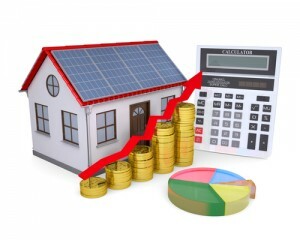 Net Energy Metering is a great way to help finance a solar energy system on a house. To participate, the home must be connected to the electrical grid, plus meet specific requirements from the provider the homeowner chooses. 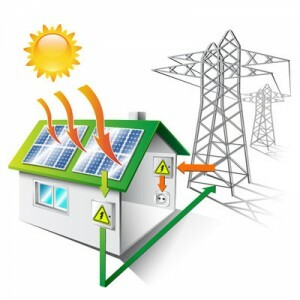 Any surplus electricity that the solar power system produces earns the homeowner a credit with the utility provider. Depending on how much surplus energy is generated by the solar power system, it can result in part or even all of the electric bill being eliminated. Instead of having to pay the utility company, they could be paying you! Residential customers are awarded the credit once a year. Utility companies and private residences agree on a plan that details out what benefits solar power customers get for selling electricity. If a residence has consumed less electricity than it has produced, a Net Surplus Compensation Rate is applied to figure out the valuation of the extra energy. The Default Load Aggregation Point price is used to calculate the value of the surplus electricity, which involves using a mechanism based on the utility market and the hourly day-ahead market price for electricity. A homeowner can have the money rolled over to the following year and applied to new bills, instead of getting a check from the utility company. Homeowners can even apply the credit to city or county taxes, which is a huge help. Each month, the utility provider will read the meter for the house and make note of the amount of net energy consumed or produced. When there is a surplus for a month, the value of the energy is credited to the annual bill. The surplus amounts accumulate during the 12-month period and are paid out or rolled over together. The rate of the credit for each month coincides with how much consumers would have paid for purchasing the same amount of electricity from the provider, instead of producing it. Of course, this means that during the daylight hours a household could be running an energy surplus, but at night it would be purchasing all electricity being used from the utility provider. If you live in the state of California and are interested in solar power for your home, now is a great time to get into the market. Thanks to the many incentives, tax credits, and other benefits that the local governments have pushed for, generating electricity using the power of the sun makes quite a bit of sense. 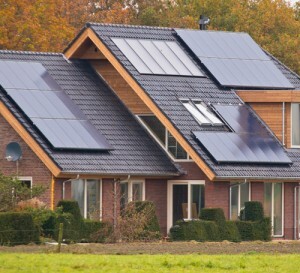 Installing solar panels on your house brings about both financial and environmental benefits. Your personal finances can benefit by the amount of taxes you pay each year going down, plus you can see your utility bill shrink. Once a year, you might even receive a credit or cold hard cash from your utility provider just for selling electricity and supporting the electrical grid. If you’re environmentally-minded, solar power systems make an incredible amount of sense. They produce zero emissions, plus they don’t require wrecking biospheres by building dams in the name of generating power. Instead, they can sit on your roof where they are out of the way,requiring little maintenance and generating clean energy year after year. You can check exactly how much a solar energy system will cost you in your unique situation, and how much you can save, by filling out our get a quote form. The quote is completely free, and with no strings attached. We will connect you with solar installers in your California location, so you’ll be able to talk to them and assess whether a solar pv system on your roof is wright for you.